When something is out of sight, it’s easy to assume all is well until it fails catastrophically. The main purpose of a house is to offer shelter and, if it doesn’t keep water outside, you risk losing valuables or doing extensive damage to your home’s structure. For this reason, we believe waterproofing is vitally important. A leaky roof can, over time, become saturated and eventually rot away rafters and sheathing alike, leading to a dangerously unstable structure. We have the expertise to apply whatever means to keep the attic dry, including flashing around chimneys and vents, as well as patching the underlayment beneath the shingles. In the basement, water can seep in around improperly sealed windows or cracks in the structure. This carries the risk of flooding the basement and left unattended, can weaken the foundation, ruining anything stored there. Our professionals are trained to spot signs of water damage and can address any issues they might come across. However, we believe prevention is better than a patch. 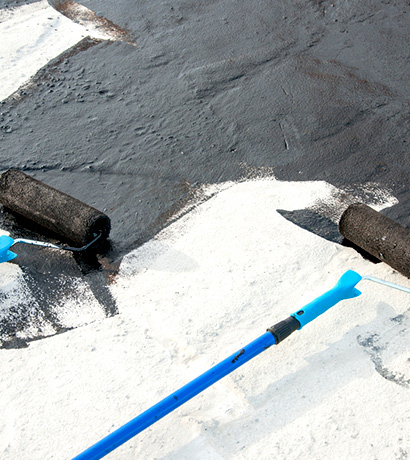 Being proactive about waterproofing can ensure the structural integrity of your home for years to come.